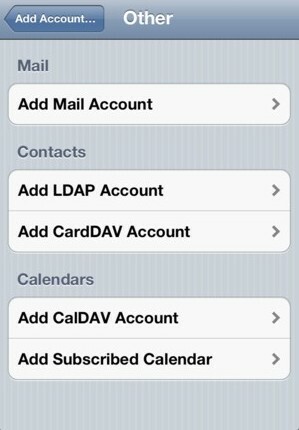 Setting up your iphone for your new mail account requires just a few simple steps. Scroll down to 'Other' and click on it. 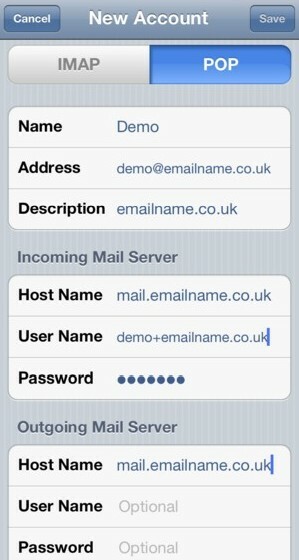 Highlight POP at the top, enter your name in the name box, the email address in the address box, the mail server name (mail.emailname.co.uk) in both mail host name boxes, the email address with '@ replaced by '+' in the username box, and the password you have been given in the passowrd box. Click Save. 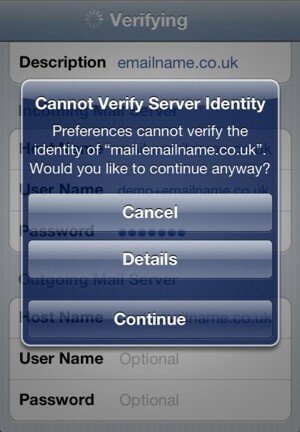 If you get a prompt that says that the server could not be verified (because you are not using a secure connection), just click continue. You are done. 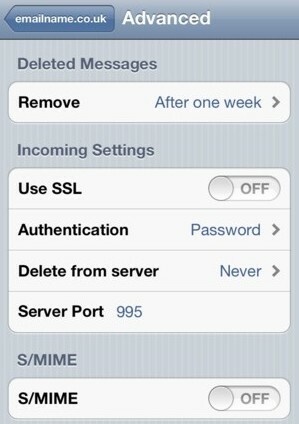 However, you may wish to customise the 'advanced' settings that control whether the iphone will delete the email from the server once it is on the phone. If you use a PC as well as the phone, you might want the phone to NEVER delete email from the server, so that the same email will also arrive at the PC, which then deletes it from the server. But this is up to you. 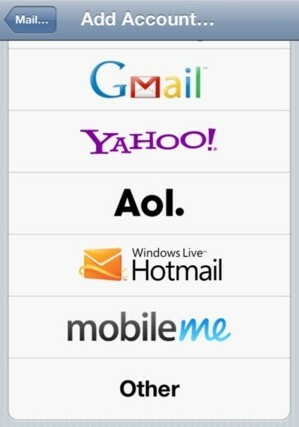 If you never delete email with a PC or an iphone, your mailbox will eventually fill up, and you will stop receiving email.